Just days after the Paris Agreement enters into force, UN climate talks resume in Marrakesh, Morocco, where negotiators will focus on charting a roadmap to fully operationalize the historic global pact. And while there is no official agenda for REDD+ at these talks, Forest Trends’ Gustavo Silva-Chávez says discussions on markets and transparency among other topics will heavily impact its implementation. 7 November 2016 | Last Friday, the Paris Agreement entered into force way ahead of schedule – less than a year after the gavel came down to adopt the climate agreement last December. This week, as nations’ representatives meet in Marrakesh, Morocco for the next annual UN climate conference (COP22), they’ll look to take an important step toward putting the landmark agreement to work. Now the primary goal for climate negotiators in Marrakesh is to chart a roadmap for how to ensure that the Paris Agreement can be fully operationalized as quickly as possible. They will need to decide how best to quickly resolve remaining issues and unanswered questions in order to implement the agreement. One looming distraction on everyone’s mind is the US election taking place on November 8th, the second day of the negotiations. Everyone at the COP will be eagerly awaiting the results, and this will likely mean that talks during the first few days will be slow until the outcome is known, at which point negotiators can really get down to business. The Main Focus in Marrakesh Will Be Implementation: Countries need to better understand each other’s emissions reduction targets and how they are planning to implement them. In 2016, countries continued to submit their national climate plans, or Nationally Determined Contributions (NDC), and other countries have been reviewing them. It will be interesting to see how countries react to each other’s updated NDCs, what common themes emerge, and which outstanding issues require additional rules. This in turn means that countries need common metrics and rules to do so, and “getting the rules right” will be a big focus of the meeting. Agreement on a clearly defined process and timelines for further negotiations will be crucial and a major outcome of this meeting. Implications for REDD+: Unlike previous years, there is no official agenda item for REDD-specific negotiations. However, other issues on the agenda – primarily accounting, markets, and transparency – all touch on REDD+ in various degrees, and decisions on those issues will impact REDD+ implementation. Transparency (Article 13): Consistent and accurate reporting of NDCs via Measurement, Reporting & Verification, or MRV, requires transparency. This is the backbone of the agreement. Reporting on NDC progress requires that countries have common metrics, trust that the information is accurate and meets still-to-be-developed UN standards, and is easily available. And, in order to build trust, the verification portion of MRV will require that countries decide how a technical expert review will work. Finance: An important issue to follow will be how countries react to progress on a roadmap to deliver $100 billion in climate finance for developing countries by 2020. Countries have agreed that all sources of finance, including market and non-market ones, should be used to generate this level of finance and make them sustainable over years. For an in-depth look at the key finance issues to watch for, see here. And at least for REDD+, we have a good record of forest finance generated since 2009. For an overview of REDD+ finance, go to the REDDX page. Global stocktake: In Paris countries agreed that in order to determine whether or not collective actions are keeping us on a path to avoid dangerous climate change, global progress will be gauged every five years. In Marrakesh, countries will begin to define exactly how this technical process will be conducted. The Paris agreement showed what can happen when the world comes together and decides to take action. It is not perfect, and as we know, is not sufficient to avoid dangerous climate change. But the agreement to take action was reached and is now in effect, and will govern future global action to fight climate change. 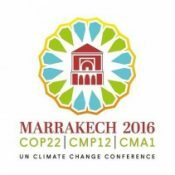 Marrakesh poses the opportunity to establish a roadmap for working out the necessary details to implement the Paris Agreement. And that is a critical next step. Gus Silva-Chávez is the REDDX program manager at Forest Trends. He has worked on REDD+, land use, agriculture and climate issues for 15 years.